Instrument of accession executed by Maharaja Hari Singh was similar to such instruments executed by the rulers of other acceding states. There was no scope for ifs and buts in it. According to it the accession was full, final and irrevocable and not in any way conditional or provisional. It should have, therefore, settled the questions of future of Jammu and Kashmir state once for all. The problem created by Pak invasion could be effectively tackled by the Indian armed forces. The offer of plebiscite was uncalled for, irrelevant to the situation and illegal. There was no provision in the instrument of Accession about it. It was outside the ambit of the Act of Indian Independence of the British Parliament. It was never accepted by the Maharaja who had absolute choice in the matter. Nor was it demanded by Sh. Abdullah or any other leader of the State. The argument that Indian leaders were guided by the situation in Junagarh and Hyderabad in making their offer is untenable because there was no analogy between those states and the situation obtaining in Kashmir. Both Junagarh and Hyderabad were not only overwhelmingly Hindu in population but also completely surrounded on all sides by Indian territory. Therefore under the Mountbatten plan they had no other choice but to accede to India. The only plausible explanation therefore is that Lord Mountbatten made the suggestion about plebiscite merely to placate Pakistan and Pt. Nehru accepted it for the same reason. It was in keeping with his policy of appeasement of Muslim League and Pakistan. Later, however, other explanation: such as refutation of the two-nation theory by showing that a Muslim majority area was prepared to remain in India of its own free will and thereby strengthening of secularism in India have also been offered. But they are after thoughts. This blunder provided Mr. Jinnah with an opportunity to politicize and internationalize the military issue and convert his impending defeat on the battle field into an eventual political and diplomatic victory. He sent a message to Lord Mountbatten through Field Marshal Auchinleck on the 29th October, 1947 to meet him in conference at Lahore. It was a clever and astute move to make the issue political while the invasion was still on and the possible military decision could not be in his favor. Sardar Patel, a realist and a practical man as he was, saw through Mr. Jinnah’s game. He opposed any Indian leader going to Lahore and warned against appeasing Mr. Jinnah who was clearly the aggressor in Kashmir. He suggested that if Mr. Jinnah wanted to discuss anything, he could come down to Delhi. But his wise counsel was not heeded and Lord Mountbatten and Pt. Nehru got ready to fly to Lahore on the 1st of November. Pt. Nehru, however, had to drop out at the last moment due to indisposition. At the Conference Table Mr. Jinnah proposed that both sides should withdraw from Kashmir. When Lord Mountbatten asked him to explain how the tribesman could be induced to remove themselves Mr. Jinnah replied: “If you do this, I will call the whole thing off.” This made it absolutely clear that the so-called tribal invasion was fully organized and controlled by the Pakistan Government. Lord Mountbatten formally made the offer of plebiscite to Mr. Jinnah at this Conference. Mr. Jinnah objected that with Indian troops in their midst and with Sh. Abdullah in power, the people of Kashmir would be far too frightened to vote for Pakistan. Therefore Lord Mountbatten suggested a plebiscite under the auspices of the U.N.O. This was a clear victory for Mr. Jinnah. He had virtually got the effect of legal accession of the State to India nullified and got Lord Mountbatten committed to a course of action which could only internationalize an issue in which strictly speaking Pakistan had no locus standi after the Maharaja had signed the Instrument of Accession and the Government of India had accepted it. Pt. Nehru ratified the offer verbally made by Lord Mountbatten at Lahore in his broadcast speech of November 2, 1947 in which he declared his readiness, after peace and rule of law had been established, to have a referendum held under some international auspices such as that of the United Nations. The commitment on the part of the Government of India had, besides throwing the accession of Kashmir to India open to question, two other important implications. On the one hand it provided Pakistan with a second string to its bow. Conscious of the strength of the appeal of religion to Muslims, it could now hope to secure by the peaceful method of plebiscite what it failed to achieve by force. On the other hand, it made the Government of India dependent for the ratification of the accession through plebiscite on the goodwill of Sheikh Abdullah whose position was changed from that of a suppliant to that of an arbiter who must be kept in good humor at all costs. These in their turn set in motion a chain of events and created a psychological atmosphere in Kashmir which suited Pakistan. Even this major concession which gave Pakistan a whip hand in Kashmir, did not soften the attitude of Mr. Jinnah and his Government who kept up their military pressure through tribal hordes supported by regular Pakistani troops at a high pitch. Even though the invaders had been thrown out of the valley, they maintained, as described earlier, their advance in Jammu and the northern areas of the State. The right and honorable course for India in the circumstances was to discontinue all negotiations with Pakistan and concentrate on securing a military decision. India, at that time, was definitely in a position to secure a favorable military decision had it decided to attack the bases of the invaders in Pakistan. But Pt. Nehru in his anxiety to keep the conflict confined to Jammu & Kashmir State would not permit that. In this he had the full support of the Governor General, Lord Mountbatten. Therefore, the negotiations were continued even when Pakistani invaders were wantonly attacking and occupying more and more territory. Direct talks between Pt. Nehru and Mr. Liaqat Ali Khan, the Prime Minister of Pakistan, were held for the first time since Pakistani invasion began, on December 8, 1947 when the former visited Lahore along with Lord Mountbatten to attend a meeting of the Joint Defense Council. But they proved abortive. Therefore Lord Mountbatten who was growing apprehensive of the fighting in Kashmir degenerating into full scale war between the two Dominions, a contingency which he wanted to avoid at all costs, pressed Pt. Nehru to refer the matter to the U.N.O. and invoke its good offices for a peaceful settlement of the problem. Most of Pt. Nehru’s Cabinet colleagues were opposed to this suggestion for obvious reasons. It amounted to inviting outside interference into a purely internal and domestic problem and a tacit admission on the part of India of its inability and incapacity to meet the situation created by the invaders. But ultimately he had his way. As a necessary preliminary, he personally handed over a letter of complaint to Mr. Liaqat Ali Khan on December 22, 1947 when the latter visited Delhi in connection with another meeting of the Joint Defense Gouncil. It demanded that Pakistan should deny to the invaders (i) all access to and use of Pakistan territory for operations against Kashmir (ii) all military and other supplies and (iii) all other kinds of aid that might tend to prolong the struggle. Liaqat Ali Khan promised to send an early reply. But instead of doing that a fresh invasion was launched in Jammu which forced an Indian brigade to fall back to Nowshera from Jhangar, an important road junction in the western part of Jammu region. The pressure on areas still nearer to Jammu city was also stepped up. This made attack on the enemy bases in Pakistan an imperative necessity to save Jammu and the supply line to Srinagar. But Pt. Nehru was unwilling to do that. So, without waiting for a reply from Pakistan which was being deliberately delayed, the Government of India formally appealed to the U.N.O. under C’hapter 35 of the U.N. Charter on December 31, 1947 and nominated Shri Gopalaswamy Iyengar to lead the Indian Delegation which was to include Sh. Abdullah also. That very day, but af ter the application to the U.N . Security Council had been despatched, Liaqat Ali Khan’s reply was received by the Government of India. It was lengthy catalog of counter charges. It contained fantastic allegations that the Government of India were out to destroy Pakistan, it also raised the question of Jungarh. It gave clear indication of the line Pakistan was going to take at the U.N.O. From the timing of the reply, it was evident that Pakistan Government had its informers in the Indian Foreign Office who kept it posted with the exact details of the Indian complaint and the time of its despatch. This presence of Pakistani agents and informers in the Indian Foreign Office is an advantage that continues to give Pakistan an edge over India in diplomacy. This appeal to the U.N.O. by India was the second major blunder on her part in handling of the Kashmir question and was a clear diplomatic victory for Pakistan which succeeded in politicizing an issue in which she had no locus standi. It came as a surprise not only to the Indian public but also to all those countries which had been looking upon the Kashmir question as an internal affair of India. No self-respecting country would have voluntarily invited the interference of foreign powers through the U.N.O. in an essentially domestic affair like this. In doing so, the Government of India simply played into the hands of Pakistan whose leaders found in it a God-sent opportunity to malign India before the bar of world opinion by levelling all kind of fantastic and baseless charges against her. 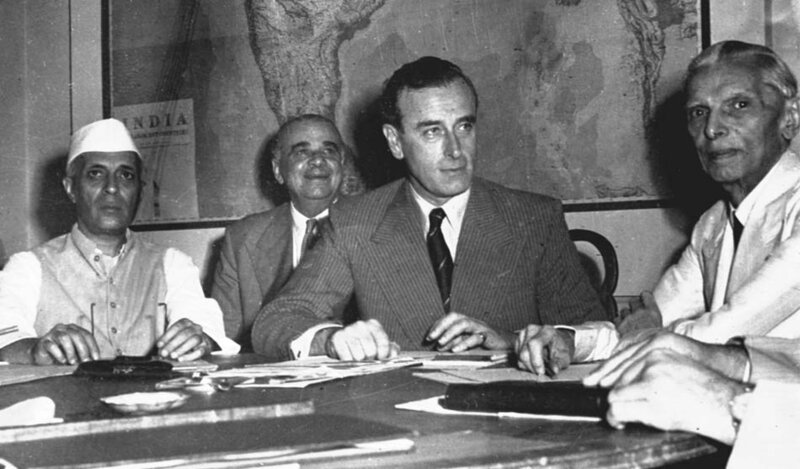 The Security Council immediately put the issue on its agenda and discussion on it began on January 15, 1948. But to the great disappointment of the Government of India, instead of giving precedence to the Indian complaint about Pakistan’s hand in the invasion and putting pressure on Pakistan to stop aiding the invaders, the security council from the very beginning put India and Pakistan the victim of aggression and the aggressor, on the same footing and began to consider Pakistan’s counter-charges, which were quite unrelated to the basic issue, along with the question of Pak aggresion on Jammu & Kashmir. This was clear from the resolution moved by the Council President Dr. Von Langhenhare of Belgium on January 20, 1948. The resolution provided that (i) a Commission of the Security Council be established composed of the representatives of three members of the United Nations, one to be elected by India, one by Pakistan and the third to be designated by the two so elected: (ii) the Commission shall proceed to Jammu & Kashmir as soon as possible to investigate the facts and secondly to exercise any mediatory influence likely to smoothen the difficulties and (iii) the Commission shall perform functions in regard to the situation in Jammu & Kashmir and secondly in regard to other situations set out by Pakistan foreign Minister in the Security Council. In spite of the objections of the Indian delegation that by bringing cther extraneous issues raised by Pakistan within the purview of the Commission, the Security Council was relegating the real issue to the background, the resolution was passed with nine in favor and two, USSR and Ukraine, abstaining. As the debate proceeded, the President suggested that the Security Council might concentrate its attention on the question of holding a plebiscite. This was fully in accordance with Pakistan’s line and was therefore duly supported by her Foreign Minister and chief delegate, Mr. Zaffarullah Khan. Thereafter resolutions and proposals began to be framed with that end in view. This provoked the Chief Indian delegate, Mr. N. Gopala Swamy Ayyengar, to declare that the Security Council was “putting the cart before the horse”. The real issue, he said, was to get the fighting in Jammu & Kashmir stopped by pressing Pakistan to withdraw her support from the invaders. The question of a plebiscite, he added could be taken up only when peace and normal conditions had been restored. He further requested for adjournment of the debates so that he might go back to India for further consultations. Even this request for adjournment was opposed by most of the members of the Security Council. The pattern of voting in the Security Council began to influence India’s foreign policy in favor of the bloc headed by the U.S.S.R. which further prejudiced the Western countries against India in regard to the Kashmir question. Some posts copied from Bharat Rakshak Forums regarding Jinnah and his vision of Pakistan. He (Jinnah) has put the onus for equal citizenship right on the good behaviour of the minorities. Their plight later on is simply due to their bad behaviour. Full stop. By the way, The Hindu also reports that Jinnah had indeed said those ringing words about Hindus ceasing to be Hindus (which in fact has happened incidentally) etc. The fact remains however that neither before that speech nor after that speech he had ever spoken of or done anything about minority rights and protection. So, August 11, 1947 speech was a one-off to hoodwink the powerful friends, probably done even at their prodding. While addressing the Karachi Bar Association on 25 January 1948 on the occasion of the Holy Prophet’s birthday, Jinnah said: “Some are misled by propaganda. Islamic principles are as applicable to life as they were 1,300 years ago. The Constitution of Pakistan will be made on the basis of the shariah”. In the 14 August, 1947 speech in which, in answer to Mountbatten’s reference to Akbar the Great, as the model for the new Muslim state, he pointed to the greater example of the Prophet of Islam, Muhammad, thereby indicating where Pakistan’s Constitution was headed to. One of Pakistan’s renowned political scientists, Prof. (Late) Khalid bin Sayeed narrates in his book, ‘Pakistan: The Formative Phase 1957-1948’ Jinnah’s assurances to a group of visiting Islamists thus: “…Constituent Assembly…will be predominantly Muslim…and would be able to enact laws for the Muslims not inconsistence with Shariah Laws and the Muslims will no longer be obliged by un-Islamic laws…” While portraying himself as a secularist and a Constitutionalist, Jinnah nevertheless asked only an Islamic clergy, Maulana Shabbir Ahmad Usmani who had apostatised Shias, to raise the flag of Pakistan on Aug. 14, 1947. Later, Maulana Shabbir Ahmad Usmani, who had apostatized Ahmedis and calling for them to be stoned to death, was made Sheikh-ul-Islam-i-Pakistan. It was Shabbir Usmani who later drafted the Objectives Resolution. In passionate speeches that Jinnah delivered to masses of the new state of Pakistan, he addressed them as ‘Mussalmans’ instead of as ‘Pakistanis’ and used terms like ‘mujahid’, ‘tenets of the Holy Quran’, and referred to Pakistan as a ‘bulwark of Islam’. Again, on Oct. 30, 1947, with the plan of his Kashmir invasion to grab it floundering badly, Jinnah resorted to appealing to Islamic fervour. He asked Pakistanis to make sacrifices for ‘the honour of Pakistan and Islam’. He exhorted his countrymen to ‘lay the foundations of democracy on the bases of truly Islamic ideals and principles’. His muddled thinking but his unequivocal support for an Islamic governance was amply demonstrated in his Feb. 1948 public address over Radio Pakistan when he said that Pakistan’s to-be-drafted Constitution should be based on Islam but he hoped that Pakistan would not be a theocratic state. Even as far back as c. 1941, Jinnah had assured a representative of the influential founder of Jama’at-e-Islami, Mawdudi that he saw no incompatibility between their two approaches. He said that as the events were unfolding yet, he was constrained from openly asserting the Islamist nature of Pakistan !! His further words to Mawdudi’s representative really betrayed what he was up to. “I will continue to strive for the cause of a separate Muslim state, and you do your services in this regard; our efforts need not be mutually exclusive. I seek to secure the land for the mosque; once that land belongs to us, then we can decide on how to build the mosque.” The noted Pakistani analyst, Khaled Ahmed interprets this as follows: What this meant for the Jama‘at was that a continuum existed between the activities of the Muslim League and those of the Jama‘at; where one ended at partition the other began: the Jama‘at-i Islami was to inherit Pakistan. Thus Mawdudi reconciled with the Quaid-e-Azam whom he once referred to as Kafir-e-Azam (the Great Infidel). It is a different matter though that in circa 2007, clerics belonging to the same Ulema community denounced the Quaid as not a hero of Pakistan because by that time Islam had become more distilled in the mosque for which the Quaid acquired land. Couple of pisko (psychological)notes about Pakis and their Jinnah pooja. India has a continuous history and an identity. To top it all, the history of freedom struggle which ended colonialism is a definitive watershed in modern India’s creation. Gandhi-ji, who was at the center of this struggle propounded a universal philosophy of unity and peace, which I think is timeless (whether it is practical is another issue). Pakis sorely miss all this. Pakistan is an artificial construct. They are bunch of converts who hate their history and geography. On top of that, the raisin-dieter of their existence is a fellow who claimed that Hindus and Muslims cannot live together so muslims need their own country. A load of good it did to them as 1971 showed. There are two ways of explaining why Pakistan was created. One is to say that the impulse for Pakistan was a Muslim-nationalist impulse. That is what we are taught in school and probably what most Pakistanis believe. But there is another explanation. And it is this: the drive to form Pakistan was rooted in the notion of minority rights. Minority rights indeed! Pray tell me how many years since Independence it took them to excommunicate Ahmedis? 1. He could not stomach that aristocratic leaders of Indian national congress were replaced by short dark poor people who had mass support. 2. He realized that by extension, democracy would do this to all aristocratic muslims. Their disproportionate representation and divine right to rule would be curtailed if free and fair elections were held. They have to participate in the affairs of the country as any other common Indian. Bahadur Shah Zafar aint coming back as King of India. Thus all the takleef about separate electorate and the fight with Gandhi and so forth. Pakistan was founded by a petty minded individual with outsize ego, whose founding thesis was Muslims cannot co-exist with hindus and ergo they needed their own country. He was ready to conspire with the British for this. He was ready to create a geographical monstrosity with no cohesion for this. When a huge turning point in the history of humanity arrived, he did not choose to boldly experiment with unity and democracy in a multicultural society. Instead he chose to feed his ego and displayed his divisive narrow-mindedness. And that is the truth that liberals like Mr Hamdani try to whitewash by talking of “non-traditional interpretation”. They can do mental masturbation all they want and write articles along the lines of Did two actually mean one, when Jinnah said “two nation theory?”. But the truth is there for all to see. Jinnah said he wanted a country for Muslims, because Muslims cannot co-exist with Hindus. It is reasonable to extrapolate that he was of the opinion that Muslims cannot co-exist with Sikhs and Buddhists and Atheists and Jews. Then why all this takleef that Sikhs didnt join Pakistan? This makes Jinnah divisive and petty minded. Jinnah probably did not believe all the BS he was spouting, but said it anyway, because his ultimate aim was to make sure Muslims had political power and he had a say in the new country and did not get marginalized. This makes Jinnah egostical, hypocriticial *in addition to being* a divisive petty minded fellow. No matter how much you try to whitewash him. *Atleast conservative Pakis are intellectually honest in the sense that they accept that their country was founded in the spirit of hatred for Hindus. The actual truth is neither. Neither was Jinnah interested in minority welfare nor did the major movers and shaker fatcats found a country based on hatred for Hindus. They wanted a country where they can retain their lands, not have land reforms, continue to rule and continue oppressing mango abduls. The mango abduls and the Mullahs were simply fed a diet of “Islam Khatrey mein hai”, given money and training. And now those mango abduls and Mullahs eventually took over and are Qadrifying the fatcats. The second factor is cognitive dissonance. Let me tell you a pisko story. So I met a motorma from across the border whose calling in life is to propound and propagate “Islamic feminism”. I am neither against Islam nor against Feminism, but certainly against Islamic Feminism — which tries to argue that feminist principles can be derived from Islam which is a load of bull. Instead of splitting our hair about nuances in each, lets use a sledgehammer. Radical Feminism encourages and supports Lesbianism as a matter of choice for women. Islam is against it and recommends women are waji-bull-cutlet if they are Lesbians. There you go. How on earth are you going to argue that Lesbianism can be derived from Islamic principles? The proponents of this bullsh1t like “Islamic Feminism” like to argue that things like Burka are for the woman’s own welfare, since now women wont be objectified. Which is a moronic argument, because from first principles that Burka is derived, it is also clear that women cant vote either (or should consult and take the advice of their husbands on who to vote for). How can getting husband’s permission be reconciled with a philosophy which propounds independent thinking for women? Instead of trashing her philosophy, I was more interested in finding out why an educated and seemingly smart motorma would propound such bullsh1t. It is because of cognitive dissonance. You are taught a religion and philosophy right from when you are born and are young. You grow up and realize it is completely incompatible with the modern world and incompatible with the values and luxuries you cherish. What do you do then? 2. You can embark on delusional mumbo-jumbo on why they are compatible in the first place. I think No 2 is what most Pakistanis do in pakistan (pun intended). You get it in the form of “Islamic feminism” and entire country espousing “Islamic Banking”, ZAB’s “Islamic socialism” and yes Mr Hamdani’s “Was Jinnah a man of Unity and Minority rights?”* Trying to reconcile two obviously incompatible beliefs by self delusional and obviously laughable assertions and distortions of truth which they pursue with full passion. *Even in the case of terrorism, Pakis (and even smart ones like Sethi and Agha) somehow seek to justify it from time to time. Like “natural reaction of people” or “evidence is not enough”. They seem to have trouble stomaching the reality that Pakistan government (yes I said government instead of “Retired Rogue ISI working during medical leave of absence”) plans and launches terrorist operations by brainwashing unemployed abduls on Islam and Jihad to go kill innocent people from countries all over the world. This is not how civilized countries behave towards their own people and people of other countries. But Sethi and Agha were born and brought up in Pakistan and I am sure have affection and patriotism for their country. So what do you do? You propound some bullsh1t somehow trying to reconcile the love for your country with the barbarity it practices. So much for myth of a secular, liberal Jinnah.